Not quite. In most cases, we have volunteered the information. We tweet, facebook, etc., completely of our own volition. We do it on our iPhones so that we can be cool. In a just society, Mark Zuckerberg would have been thrown out of Harvard for stealing personal information on his classmates. He would not be held up and envied as an example of exceptional anything. And in a just society, we would not all be racing to see how much personal data we can provide for the government. Brilliant, Ted ! But what, after all, can one expect of a Nicholas Donabet Kristof ? He knows very well on which side his bread is buttered…. You hate the government; I hate corporations. Why don’t we meet in the middle and smash the whole damn system? @Grouchy: most everything the Republicans do and say annoys me. That said, it’s not me that’s ascribing an “anti-market” orientation to the OWS protesters, and it’s not me claiming that as a good thing. To be anti-market really means to be anti-freedom, ostensibly for egalitarian reasons, but most often just for control issues, by people who are control freaks and want to exert control over their neighbor’s lives. @someon: I take no offense at your remarks. I do think the OWS protests are a breath of fresh air, if a bit misguided politically. I also think that old-time, unreconstructed Commies like Ted or Stephanie are in for a big disappointment when the movement is co-opted by the Democratic establishment (just like the Tea Party was, by the Repugnant establishment) and Revolution doesn’t ensue. 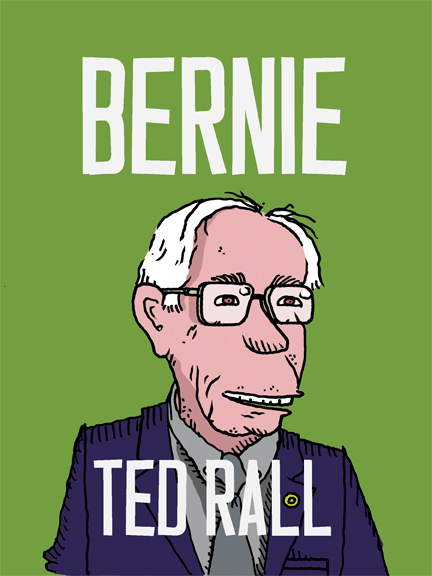 I also think Lech Wałęsa will not receive a warm welcome from Ted Rall, if past comments are any indication. @bucephalus, sorry, the “moron” statement wasn’t directed at you, but some little dimwitted gadflies that pass through on occasion. My take is that you have a very intelligent and well reasoned world philosophy and ethos and I am actually saddened you don’t post here more often. I do understand why you don’t, however, as some people here do have a most unfortunate tendency to be a bit nasty towards you just for expressing your views. Sorry about that. I am considering using “It’s an intellectual exercise and it helps fill my deadline” as a quote in various sigs for some time to come. Truly I have never seen such a simple statement that so perfectly yet concisely captures the apathetic quasi-pathos and self interest of the 21st century’s version of intelligentsia-class pundits, awesome. Also I totally applaud you for letting people with different view points, even those who have nothing to offer but right wing talking points. Beyond just being the right thing to do we all learn more from it. Echo chambers are bad even when they are right. Diversity of opinion is key to learning and understanding. The best way to learn not to be a moron is to see one in action. I’m still surprised that no seems to be making comparisons to the Bonus Army of the 1930’s. Bucephalus: does it bother you when the Republicans scream “class-warfare!,” because they are ones always shrilly bringing the phrase up. Of course they’re coming from a supremely disingenuous place. But it’s funny that after generations of “free-market,” pro-capitol brain-washing, no one bats an eye when the right returns to the rhetoric that they spent so many years stamping out. Congratulations on getting the phrase “Moving ahead with the Basel III capital requirements, etc” 3 times in a 4-panel cartoon. Hilarious! My, “class enemies”, indeed! The reason I visit the site, other than the occasional ant-war cartoon or essay (anti-war out of political expediency, probably, not principle) is to see such vintage Bolshevist lingo in current usage, as if it’s stlll the 1930’s and Uncle Joe is still looking out for the vanguard of the Proletariat. Those making over $250k are afraid of tax hikes. They should be fearing things of a more Robespierreian nature. We need to make this clear to them. A suggestion: perhaps instead of merely camping out, the Occupy Wall Streeters should start just walking up and down the streets of the financial district. It might make the protest more effective if the Wall Street workers are finding it difficult to get to and from work. Also, it would tend to avoid police attention; you can’t arrest people for legally walking down the street…even if there’s several thousand of them, and it’s making motion difficult. Some think the revolution should be deodorized, see below. Make them “smelly” protestors an offer they can’t refuse: a 10-year supply of personal deodorant in their choice of spray, stick, roll-on or, the brand new(! ), time-release suppository!!! Kristof doesn’t share our “antimarket sentiment.” So why does he weigh in? That is exactly how I feel about a lot of people who post comments to your site. This is class war. When you’re fighting someone, why in hell would you consider their suggestions helpful? The reason I let class enemies post here is that we need to see their arguments so we can learn to counter them.